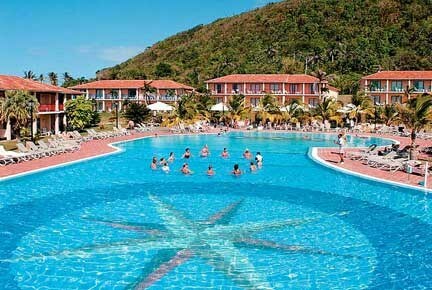 There's a 7 night all-inclusive package from Calgary to the SuperClubs Breezes Jibacoa in Santa Cruz del Norte, Cuba departing on November 25 for $736/person after all taxes and fees (includes flight, hotel, all meals, all drinks) . The Ultimate All-Inclusive Deal Finder has calculated this deal as having a Deal Score of 83 out of 100, based on price vs quality. - The reviews of the SuperClubs Breezes Jibacoa on TripAdvisor are pretty much all either excellent or very good. This fact, combined with the low price, is what leads to the high Deal Score. I like deals where you're getting the most for the least. - It's an adults only resort. Typically, 'adults only' properties are more expensive, so that makes this deal even more amazing. - The price initially shows as $806/person but drops even further to $736/person on the price verification page. A large percentage of the highest Deal Scores involve packages departing on those dates at the moment. - If you can't depart really last minute, I would focus on departures in the first week of December at the moment, particularly December 8. There are 3 resorts with deal scores above 80, which means they are into 'Amazing Deal' territory. And if that's still too soon, I would look at January 18.
calgary, yyc, all inclusive deals, caribbean, western caribbean and cuba.